Update: Sierra has since commented that Ghostbusters is not cancelled and will not be cancelled. There is still no word on the remaining games and the article below is left unchanged. Activision Blizzard has submitted its latest release schedule today, with no date listed for games such as Ghostbusters, 50 Cent: Blood on the Sand, Chronicles of Riddick or Brutal Legend - all of which may face cancellation as a result of the merger between Activision and Blizzard. One of the big questions about the merger which hadn't been publicly resolved was what would happen to games under Vivendi's Sierra label - and now we know. Activision has announced that it will be keeping five of Sierra's franchises and not the rest. Activision Blizzard has commented that it plans to 'realign' staff at High Moon Studios (The Bourne Conspiracy) and Radical Entertainment (Prototype). The future for other studios however is a bit more bleak - Massive Entertainment (World in Conflict), Swordfish Studios (50 Cent: Blood on the Sand and the Mobile and Online disivisions of Sierra are all being assessed for sale or closure. 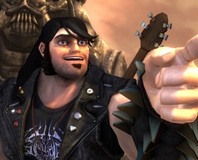 We are currently investigating what will happen with Double Fine Studios and Brutal Legend. Activision has confirmed however that it will be keeping some of the games on the Sierra label - namely Spyro, Crash Bandicoot, Ice Age, Prototype, The Mummy: Tomb of the Dragon Emperor and one other unannounced title. Joy. "We are focused on improving efficiency across the combined organisation and are concentrating on businesses where we have leadership positions that are aligned with Activision Publishing's long-term corporate objectives," said Activision CEO Mike Griffith in a statement. Disappointed? Ambivalent? Let us know what you think in the forums. 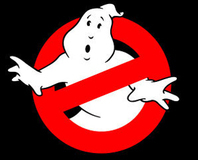 Sony has now bought the publishing rights for the Ghostbusters game from Atari, making the game a PlayStation exclusive. Tim Schafer thinks fans worry about game sales far too much and urges them to just have fun with his next game. 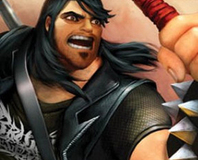 Activision to sue EA over Brutal Legend? Activision Blizzard is reportedly getting a bit touchy over Brutal Legend and may be looking for ways to stop EA from publishing the game.